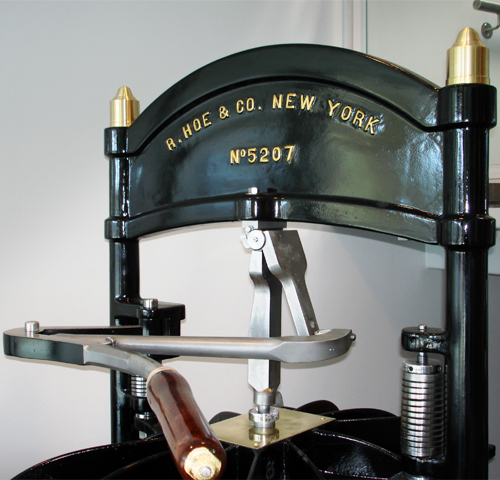 This press is referred to as a “Washington design” and named after America’s first president. First designed by Samuel Rust, a New York printer, in 1821. It was Rust who worked out the unique “figure 4 toggle. The figure 4 designed toggle was the simplest and most favored of all the iron press designs. 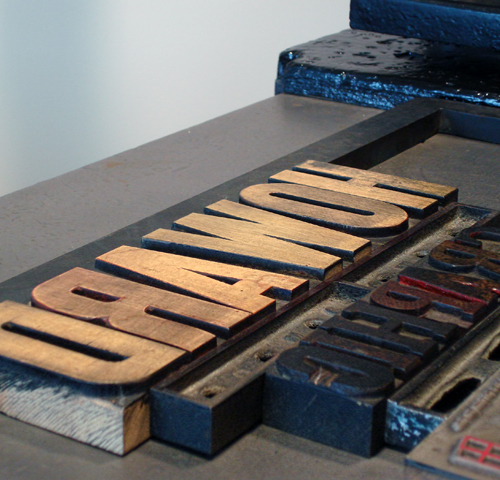 In 1835, the R. Hoe Co. purchased Rust’s patents and business, then began to make their version of Rust’s superior press. Many other manufacturers came out with similar machines and most were manufactured well into the 20th century. 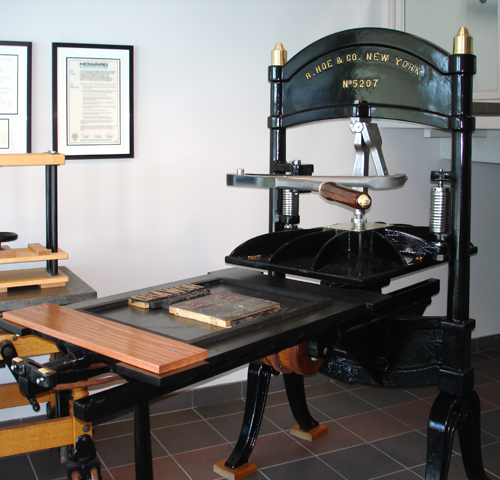 Latterly, the iron press was used almost exclusively as a proofing press. This restored example represents the second last design change for the R. Hoe & Co. and was manufactured in New York. Platen 25" x 39", Bed size 29.5" x 42"